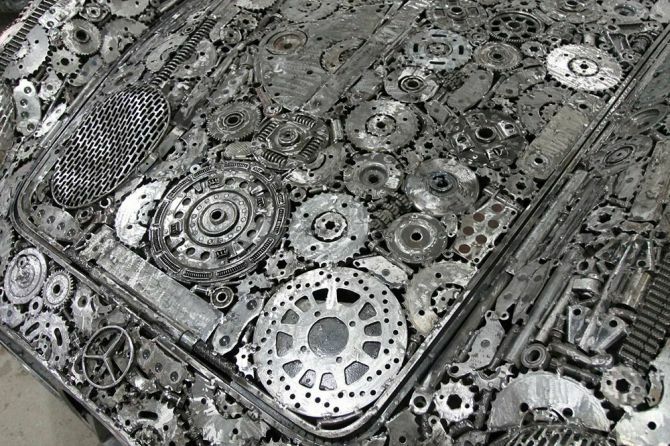 If you love metal sculptures and also fond of recycling, then this post is for you. 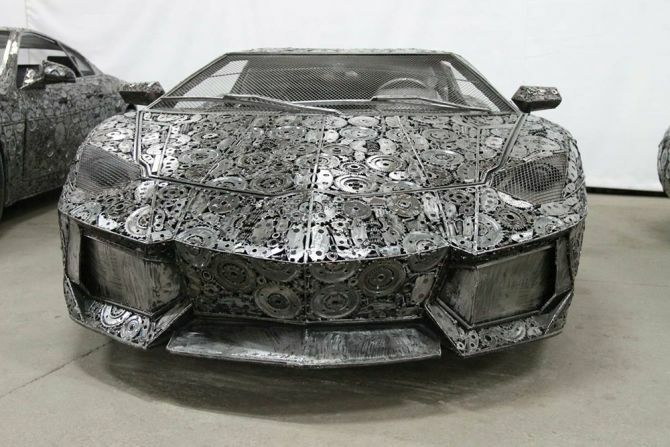 Today, we’re going to show you how junk metal can be converted into life-size supercars. 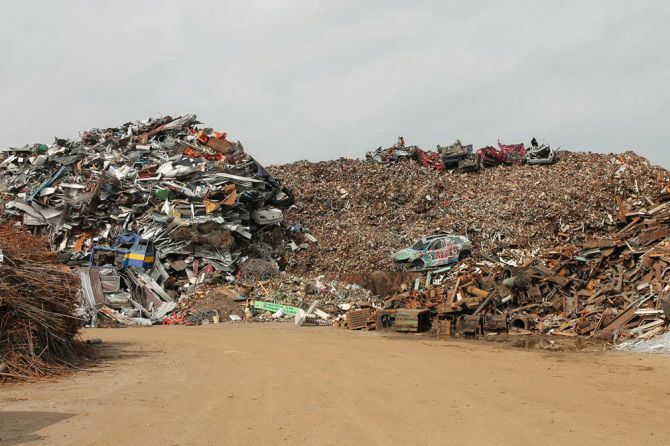 The Gallery of Steel Figures (a museum in Prusków, Poland) allowed fifty artists from around the world to raid a local scrap yard. 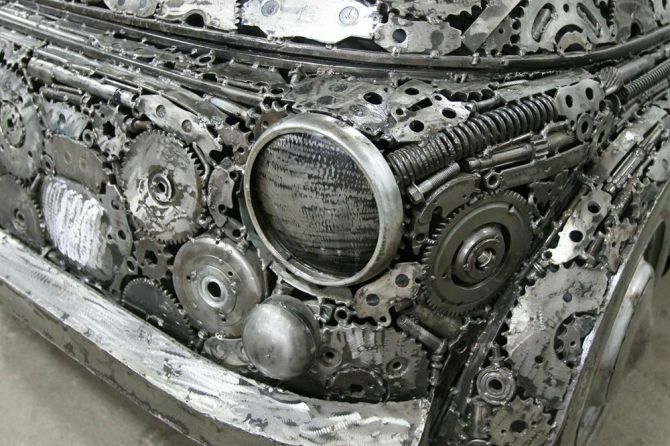 Together the creative artists had to create unusual metal sculptures for the museum. 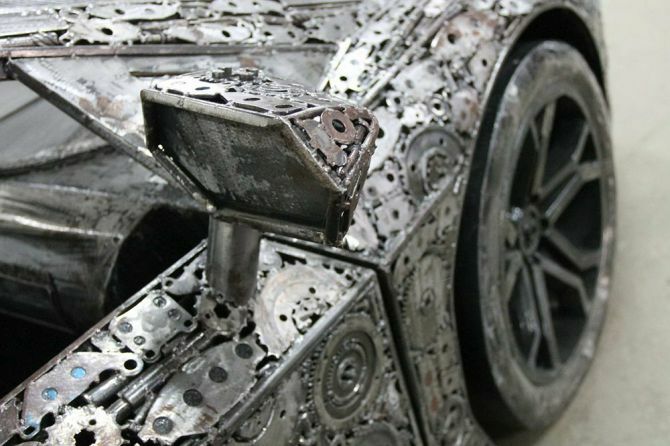 The result – they turned a huge pile of scrap metal into life-size supercars. 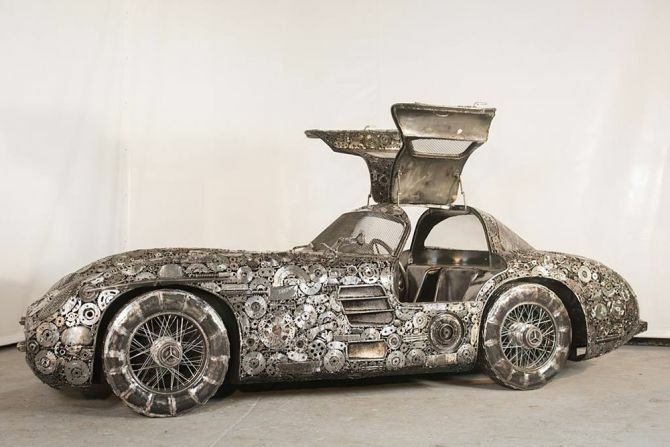 Transforming rubbish into replicas of automotive icons, the team of artists has created some wonderful metal sculptures that would surely be loved by the original makers of these iconic cars. 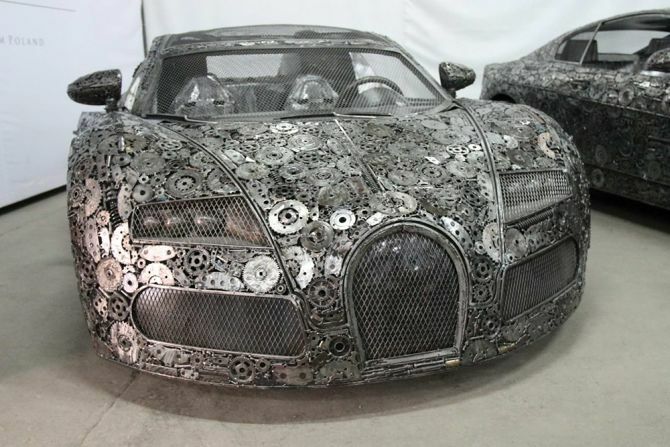 Some of the well-known car models created by them are Mercedes 300 SL, Bugatti Veyron, Lamborghini Aventador, Fiat 500 and Maserati GranTurismo. 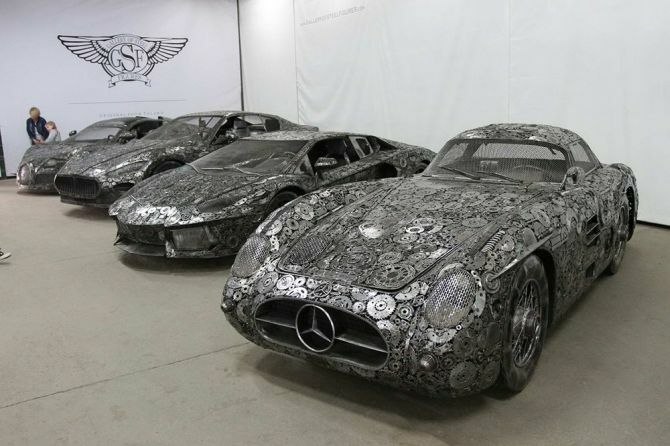 Each metallic car sculpture has been crafted with perfection to closely resemble the original car model. 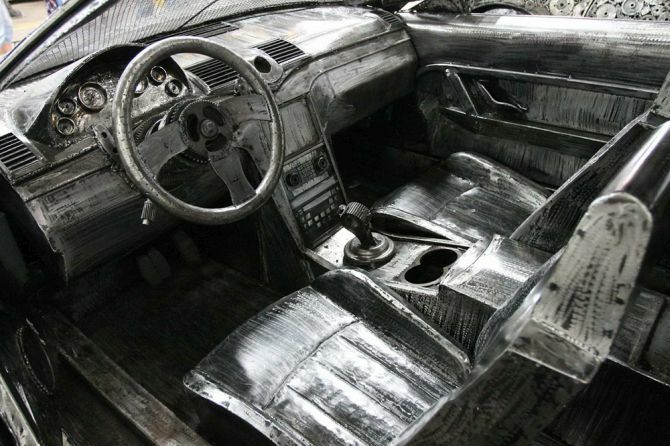 Not only the exterior but even interior of these metal cars is similar to their authentic make. 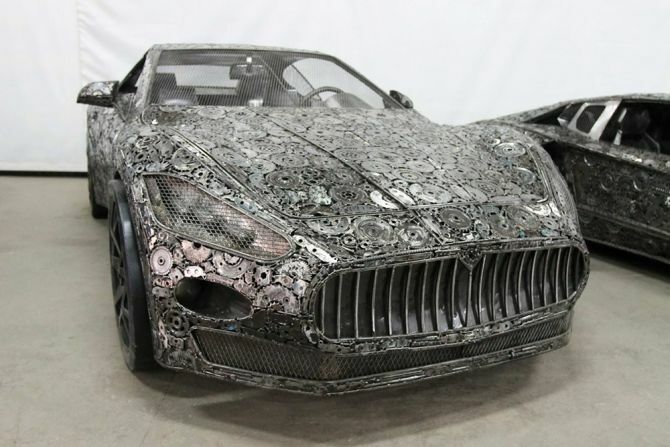 Just have a look at the flawless curves of the Mercedes, and Fiat’s cabin – you’ll know what exactly we’re talking about. 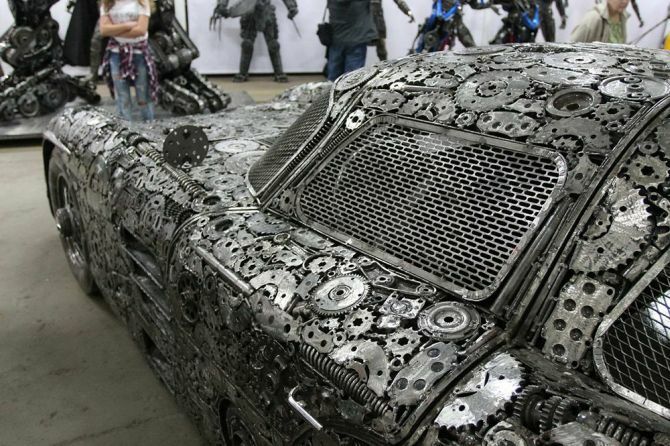 The collection of scrap metal cars is present at the Gallery of Steel Figures museum. The artists are also planning to open another gallery in Poland, with a global expansion to follow. Furthermore, the collection will make second appearance at the 2017 Motor Show in Dubai. 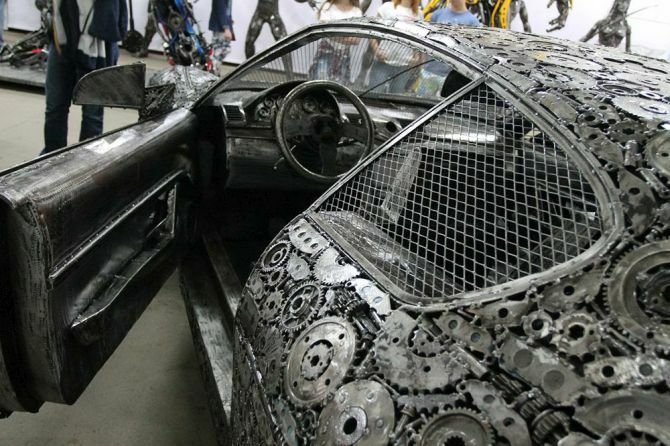 Until then, check out the iconic car models in the images below.